Location to parks cannot be beat, this place is relaxed, on a low-traffic road, yet walkable to downtown. All while enjoying peace and quiet without the noise, of the city, traffic, train, or bars. 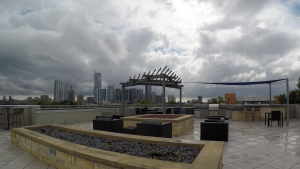 Plus Austin’s Best 8,000 square foot Roof Deck with gorgeous views of downtown. Amenities are subject to change. *Select homes.